In Piemonte, when the Wool Road changes course south of Biella towards Alba, the fiber connects textile traditions to centuries of wine production. 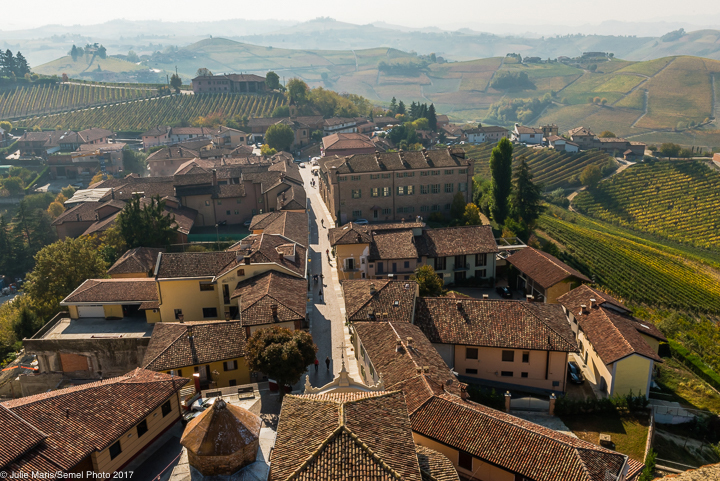 The culture of wine and its landscapes resulted in UNESCO’s designation of the Langhe-Roero and Monferrato regions as a World Heritage classification in 2014. Where factory chimneys overlooked Biella, Langhe’s watchtowers and castles that protected the valleys between rolling, tongue-like hills, dominate the views. Barbaresco’s tower repurposed into a wine space now celebrates local production with multimedia presentations. The terrace affords panoramic views of the Tanaro River nine-hundred feet below and on a clear day, vistas of the Alpine mountain chain. Vineyards of Nebbiolo grapes, the varietal of Barbaresco DOCG wines, grow in the surrounding terroir: compact limestone clay, rich in fossils, gives great structure to the complex and elegant wines. 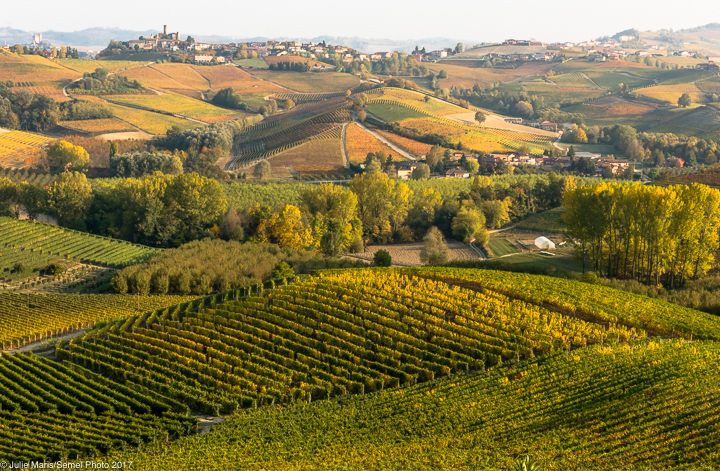 Piemonte has twenty-thousand wineries: most are comprised of small family vineyards that by hand, produce the noble Barbaresco and Barolo, in addition to the Barbera and the soft, dry Dolcetto. The warm marin winds from the Ligurian Sea provide daily temperature fluctuations suitable for wine cultivation in the hills dotted with red-brick storage sheds. 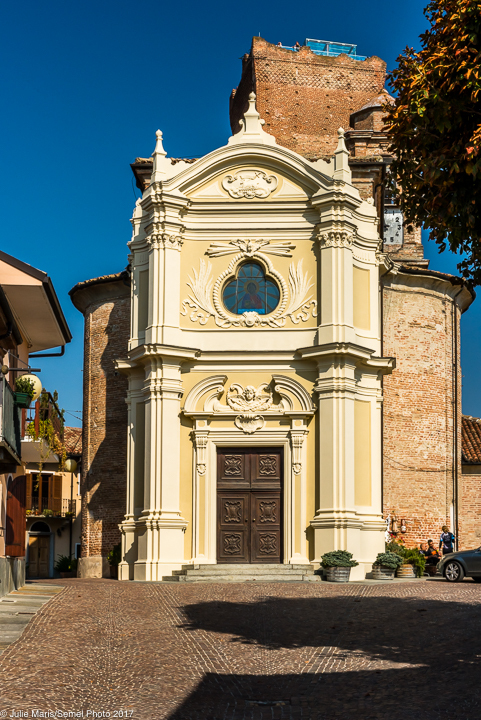 Barbaresco’s tasting rooms include the Enoteca in the deconsecrated 18th century Church of San Donato. The Enoteca represents producers responsible for 90% of the Barbaresco production and organizes wine tours and classes. Numerous winding trails adjacent to the tonda gentile di Langa hazelnut orchards, pass walled villages, hamlets, Romanesque architectural sites, and medieval churches. 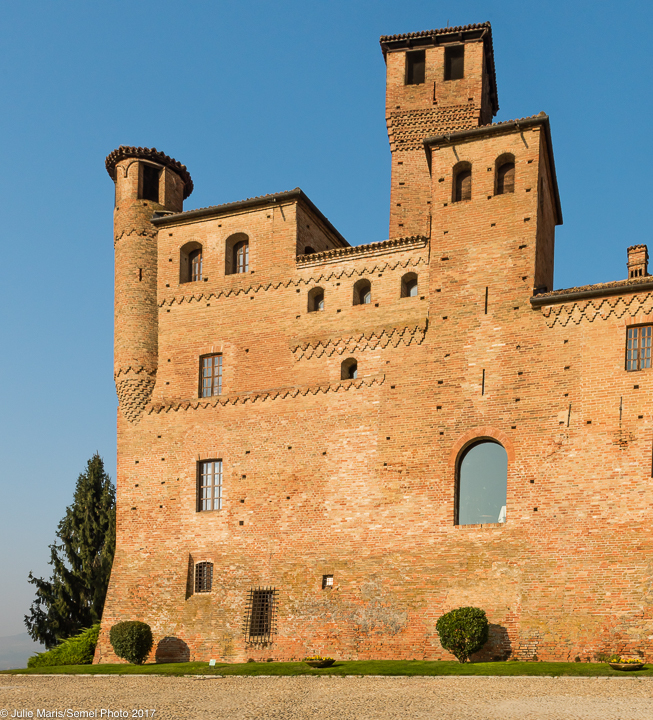 An ethnographic museum, the imposing UNESCO World Heritage 13th century Grinzane Cavour Castle named for Count Benso of Cavour, an architect of Italy’s unification, also houses the first Regional Enoteca del Piemonte. Wines, grappas, and local food products (toasted hazelnuts, dried mushrooms, and honey) fill its shelves. The museum’s exhibitions trace the region’s wine production. Replicated farmhouse interiors, a cooper’s workshop, and related paraphernalia further illustrate the centuries of wine culture. Langhe’s trattorias and Michelin-starred restaurants excel in local gastronomy. Tajarin, thin hand-cut pasta, bright yellow from forty eggs per kilo of flour, served with veal ragu; bagna caöda, anchovies, blended with garlic and olive oil, drizzled over roasted sweet red peppers; and carne cruda di Fassone veal exemplify great regional dishes. Carlo Petrini’s Slow Food movement, established 1989 in Piemonte, protects culinary heritage and promotes local food traditions. It fosters food and its relationship to politics, agriculture, and the environment. The Barolo Road, one of seven marked wine routes through the Langhe-Roero, links Alba to the heights of La Morra. The road not only links great wines but also the culture and gastronomy of the region. At Roddi Castle, the International Culinary School of the White Truffle of Alba offers traditional Piemontese cooking classes and dog training at The University of Truffle Hunting Dogs, established in 1880. Murazzano, in Alta Langa, one of numerous Piemonte villages known for exceptional cheeses, uses traditions dating to the Gallic tribes. On small farms in the province of Cuneo, artisans produce the crumbly and dense Castelmagno blue cheese. In nearby villages, Raschera d’Alpeggio, a soft and creamy textured cheese, explodes with sharp flavor. In other Langhe valleys, small cheese producers make the ancient, tangy goat’s and cow’s milk Robiola di Roccaverano and Toma Piemontese, an intense cow’s milk cheese. In Cuneo, truffle hunters or trifolau appear with their dogs and vanghetti, spades to dig around truffles, from September 21st to the end of January. 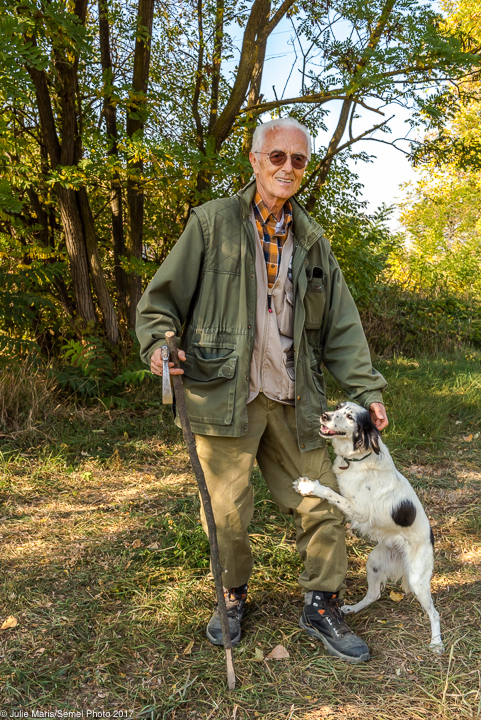 After prospective trifolau pass an exam, the Associazione Trifolau and Alba, Langhe, Roero, and Monregalese land owners issue licenses to hunters who will preserve the truffle habitat. The Tuber magnatum Pico known as the Alba white truffle, an underground delicate fungus or mushroom, grows near oak and hazelnut trees in damp, chalky habitats and emits a delicate scent that trained dogs can locate. Truffles can be hunted anywhere that’s not restricted and belong to the finder or “res nullius”: nobody is the owner. Trifolau with their patient and inquisitive dogs have constant conversation. Vieni qui! Guarda! Vai di la! (Come here! Look! Go there!) When the happy dog finds a truffle, it’s well rewarded. 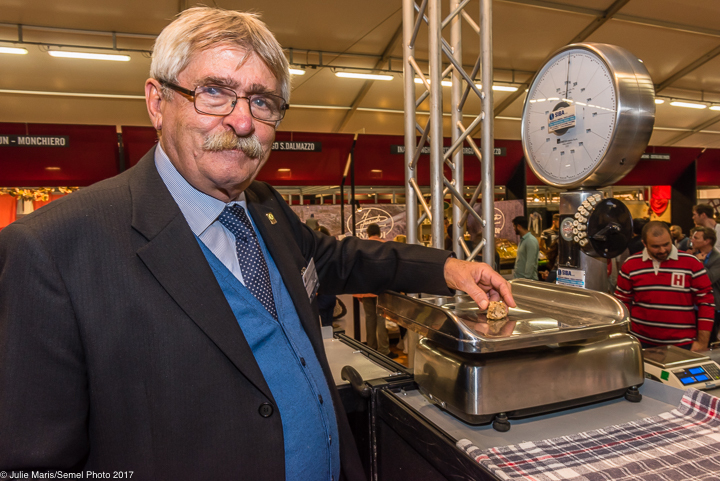 Alba, the capital of the Langhe, a medieval city with numerous towers and the Cathedral of San Lorenzo, celebrates its truffles with the annual International Alba White Truffle Fair in October and November. 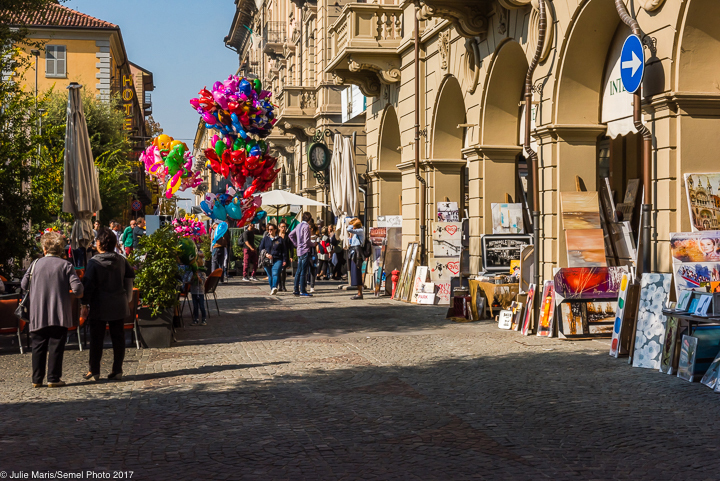 Elegant shops on Baroque streets, cafés on porticoed piazzas, and street markets above Alba’s Roman underground tunnels provide the perfect locale for the fair. On consecutive autumn weekends, trifolau and buyers converge to inhale the unique perfume comprised of complex compounds of truffles from the Langhe, Roero, and Monferrato woods. Guarantors who certify the quality before purchase, look for balanced and delicate scents of garlic, hay, spring-like wet earth, honey and a firm consistency, as water comprises 85% of the fungi. They also determine when truffles should be shaved onto eggs, pastas, and risottos –– dishes that are mild in flavor. 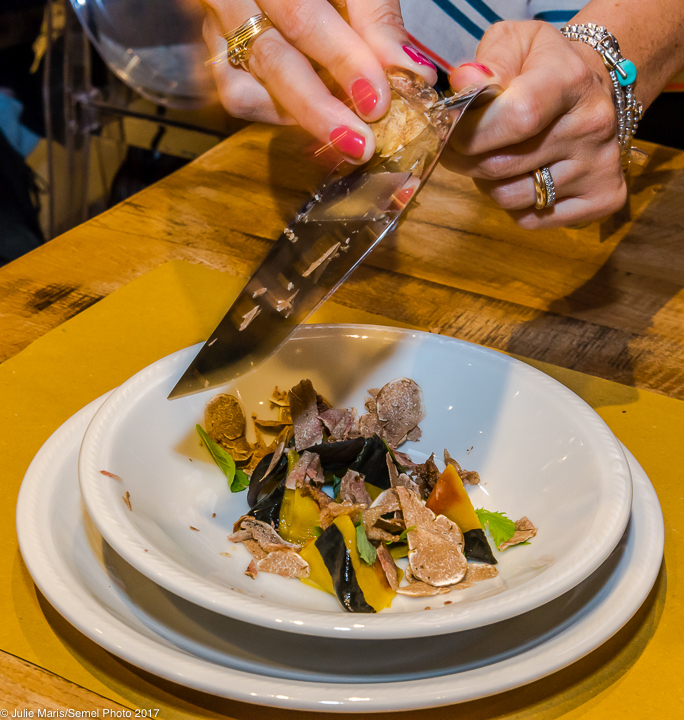 Foodie Moments, when master chefs create dishes as foils for truffles, provide an opportunity to experience great food, wine, and truffles at this gastronomic celebration. Numerous events during the six-week fair include art exhibitions, concerts, and the Palio degli Asini, a donkey race. 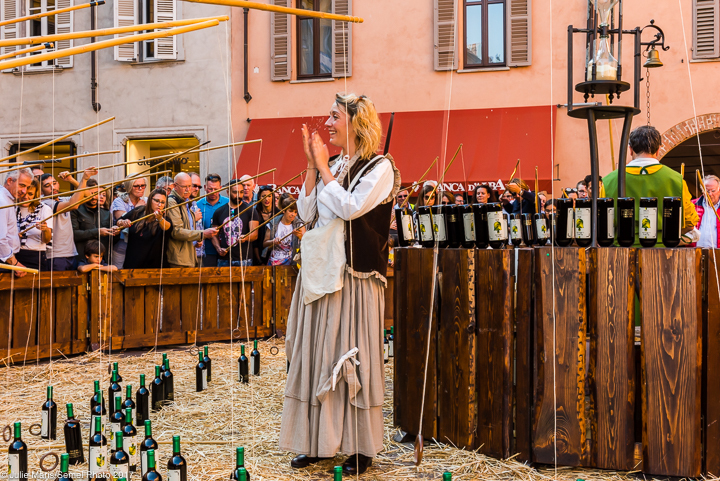 The Truffle Bacchanal and Il Borgo si Rievoca celebrate the Middle Ages with costumed monks and maidens, fund-raising games, and traditional chickpea crepes and roasting pigs in Alba’s Piazza Risorgimento. Subtle aromas of toasted hazelnuts permeate the air from the nearby factory where in 1946 Ferrero developed giandujot, the hazelnut, sugar, and cocoa paste based on the historic 1860s Turin confection. 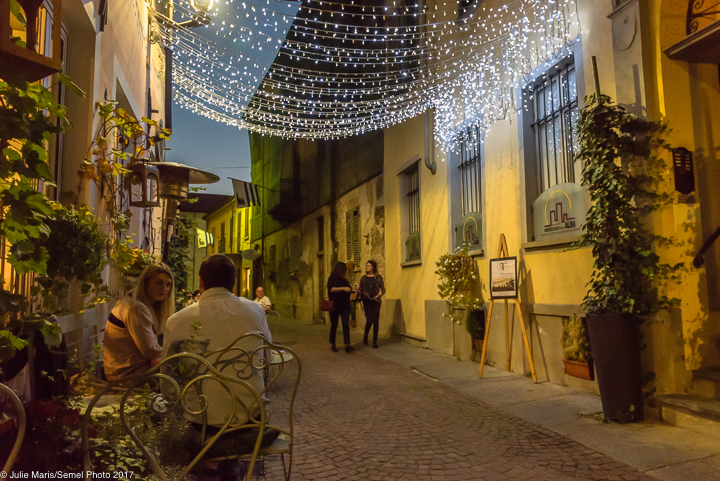 In Alba’s wine bars on quiet alleys, locals in black-leather jackets drink multiple espressos or aperitifs. Piemontese enjoy the custom of complimentary snacks served with drinks: frittatas, cheeses, and grissini, the thin, crispy bread sticks that the Duke of Savoy’s baker created. Turin, the capital of Italy before Rome and unification, presents an urbane and stunning contrast to the bucolic Langhe-Roero wine region, an hour’s drive through Piemonte’s undulating hills. The Savoy Dynasty with political power and wealth established Turin as a cultural center and built grand piazzas and elegant palaces into the 1700s. Recognition by UNESCO in 1997 as a World Heritage Site attests to its importance. The royal residences constitute its architectural heritage, in addition to the orderly cityscape of four-story houses, churches, and buildings that are now home to many of Turin’s forty museums. Sophisticated cafés and shops line eleven miles of arcades originally built for the royal court’s promenades. 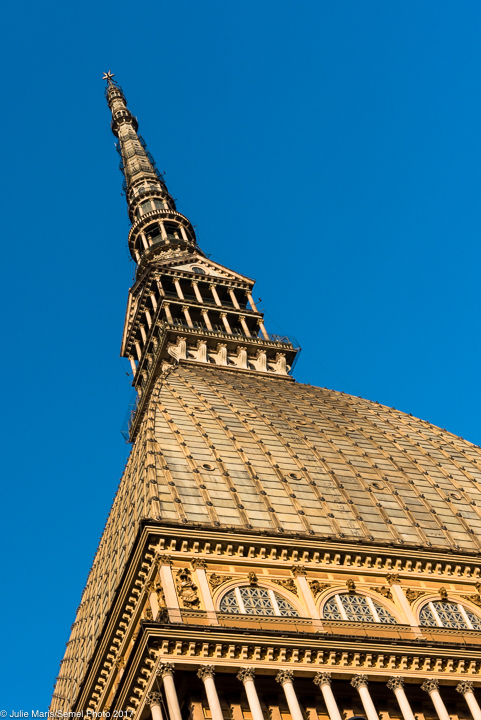 The tallest museum in the world, the National Cinema Museum, is housed in the Mole Antonelliana, the city’s symbol and a landmark named for the architect who in1863 built it as a Jewish synagogue. The museum holds the history of Italian cinema born in Turin, in addition to its collection of almost two-million works that includes thirty-thousand films, photographs, posters, and sound recordings. The circular ramp spirals upward towards the cupola and above the Temple Hall with exhibitions and chaise lounges to view movie clips. An internal glass-walled elevator reaches the terrace that provides sweeping views of the city and the Alps. 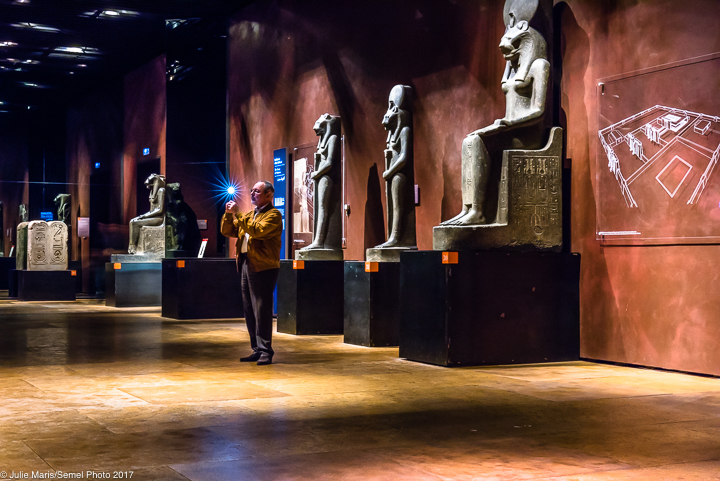 Museo Egizio represents the most important institution of Egyptian archaeology and anthropology after Cairo. The museum houses the granite statue of Ramses II, the Royal Papyrus from the Drovetti Collection, and the Tomb of Kha and Merit discovered intact. It’s the repository of one of the largest collections of Egyptian antiquities with more than thirty-two thousand artifacts. Founded in 1824, the museum’s history dates from the 1700s. Drovetti became the first French counsel after service with Napoleon in Egypt and amassed the considerable collection. Museum highlights include sarcophagi, mummies, and the Temple of Ellessya (circa 1450 B.C.). The Italian Archaeological Mission’s excavation sites in the early 1900s supplemented the museum’s acquisitions: the five-year renovation completed in 2015 expanded research and conservation facilities and the exhibition space. 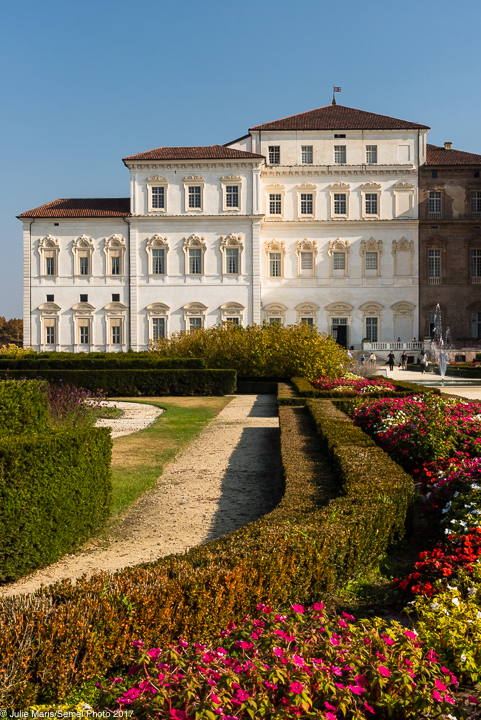 La Venaria Reale, an opulent Savoy Dynasty palace designed for hunting in the mid-17th century, developed into a vast complex of apartments, gardens, and the Filippo Juvarra’s Great Gallery and stables. One of the largest royal residences comparable to Versailles, it fell into centuries of disrepair. After the prolonged and most extensive restoration of any European cultural property, the palace reopened in 2007 with period works of art, in addition to the impressive gardens and pools. Of fifteen royal residences in the Crown of Delights of the House of Savoy, the La Venaria Reale offers historic insight and contemporary exhibitions. 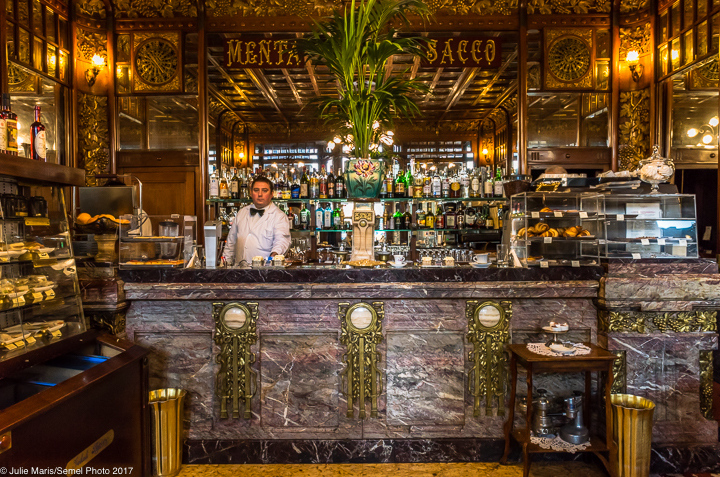 A café society, Turin heralds Martini and Rossi’s vermouth’s creation and its aperitif custom that’s savored in a glass-roofed arcade, a Baroque piazza, or an Art Nouveau café. In the 1800s, women unaccompanied by men met in a quiet church-square café with wood-paneled and mirrored interiors. The café still serves bicerin, a drink made with a layer of hot, melted bittersweet chocolate topped with strong espresso and capped by frothy cold cream. When Emanuele Filiberto moved the Savoy capital, chocolate became part of its culture. By the 19th century, Turin evolved into its international center of production: today it’s also the heart of Piemonte’s gastronomy, the center of Slow Food where locals take time for food and drink. 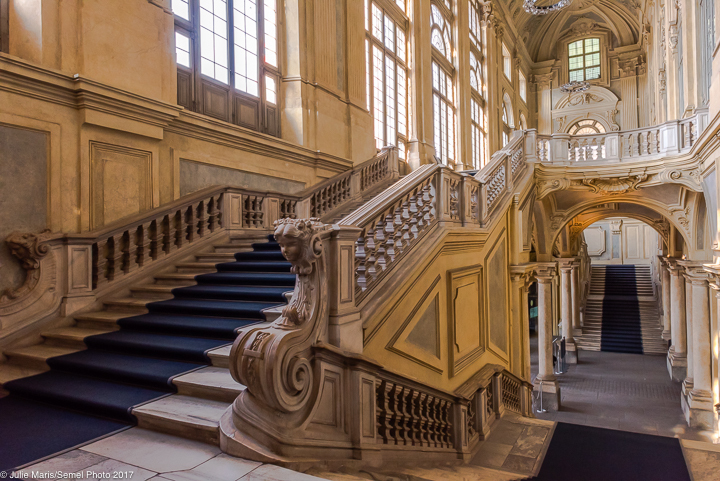 Turin’s art and architectural splendor combines with innovation and creativity. 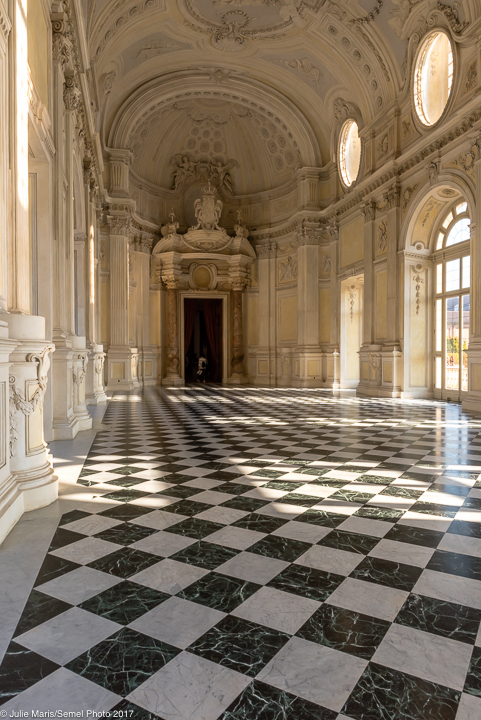 The recent restorations and history of great wine and food make Turin again a sparkling diamond among Piemonte crown jewels. For more than twenty years, Julie Maris/Semel has photographed adventure travel. 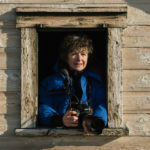 Her work features people, landscapes, and wildlife from Asia to the Arctic.As a photojournalist, she has produced articles for national tourist boards and editorial clients. Her images have appeared in magazines and on Nikon’s website and reflect the challenges of capturing the brief second between subject and camera, as well as the quality of light and color. My goodness, what beautiful photographic work and evocative story-telling: I want to sit under that bright blue sky, dining on eggy pasta with olive oil and shaved truffles, sipping wine and maybe finish it off with some hazelnuts and chocolate. Ms. Maris/Semel should have had someone with her to carry equipment . . . let me know if that position becomes available. Truly, this work combines such a wonderful confluence of talents. I’m smelling the hazelnut trees and imagining chalky soil under my feet and “Stella” leading me down the path. Fabulous! Who knew the area offers so much more than the famous shroud? Really enjoyed story and pics! Beautiful article and photos! Always have wonderful and safe travels!